In advance of C2E2 2016 in Chicago, IL, Valiant is proud to announce “BLOODSHOT ISLAND” – an all-new, four-part trial by fire beginning this June in BLOODSHOT REBORN #14! 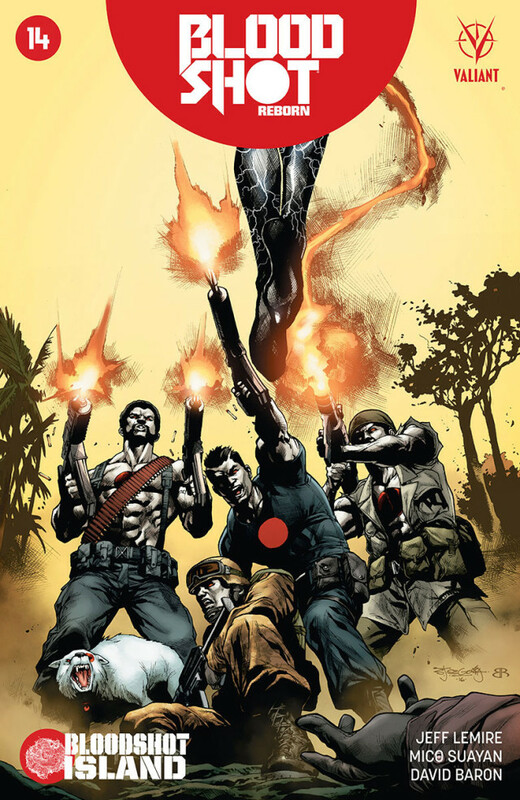 Jump on board one of the most acclaimed series in comics here as New York Times best-selling writer Jeff Lemire (Old Man Logan, Descender) and blockbuster artist Mico Suayan (BLOODSHOT REBORN) reunite for a relentless run through the jungle that will bring Project Rising Spirit’s nanite-infused soldier head-to-head with fellow Bloodshots from decades past and the secretive killing machine driven to eliminate them each one by one – a calculating engine of destruction simply known as DEATHMATE! 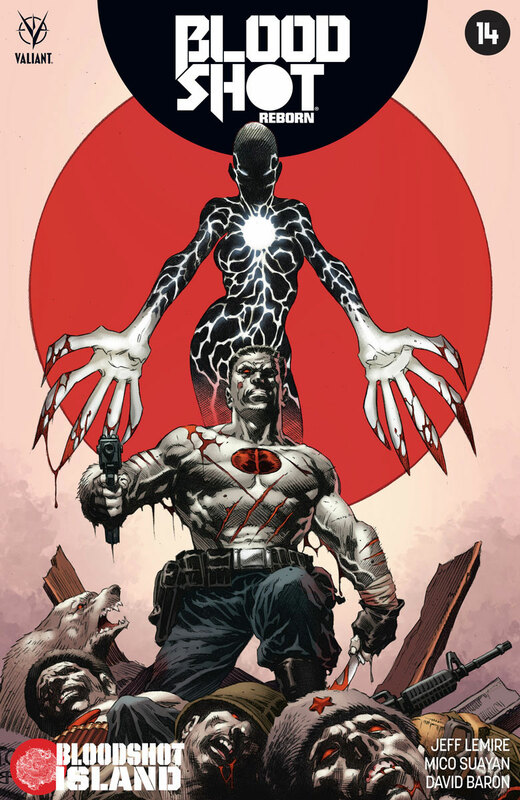 Featuring the return of blockbuster artist Mico Suayan to the pages of BLOODSHOT REBORN for the first time since the series’ sold-out launch in 2015, BLOODSHOT ISLAND is the next epic culmination of writer Jeff Lemire‘s long-term plans for Valiant’s most indestructible man-at-arms. 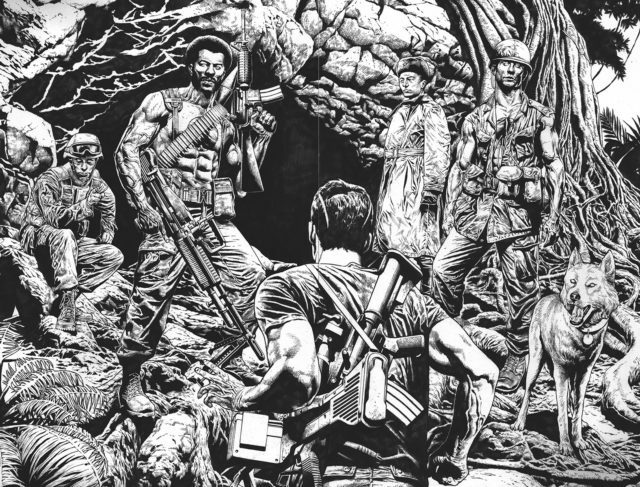 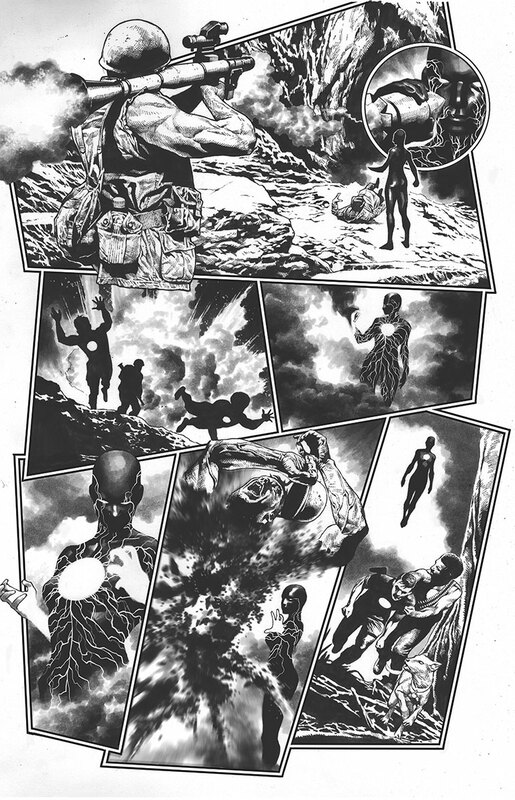 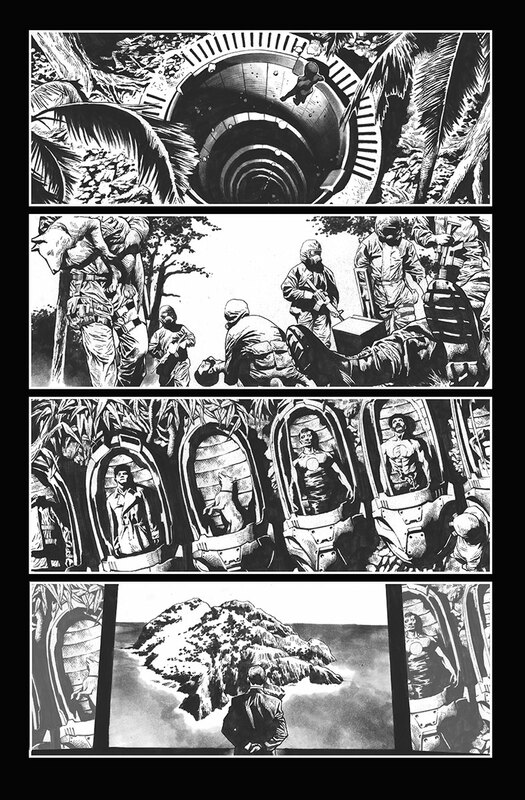 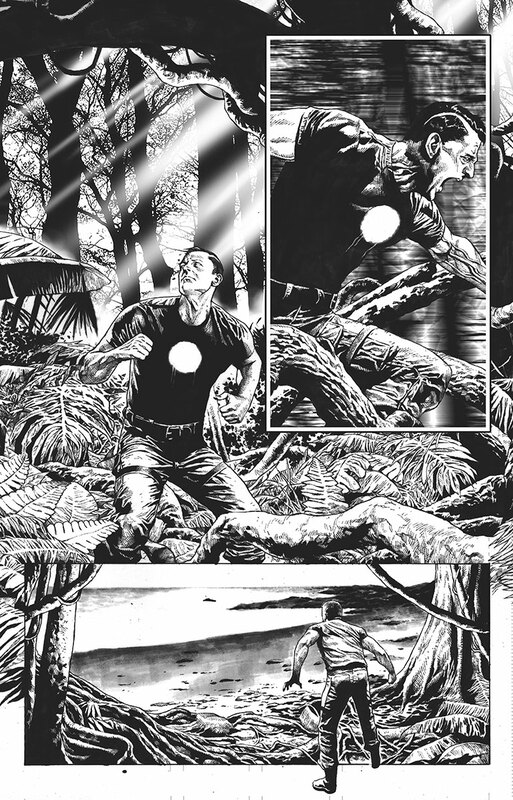 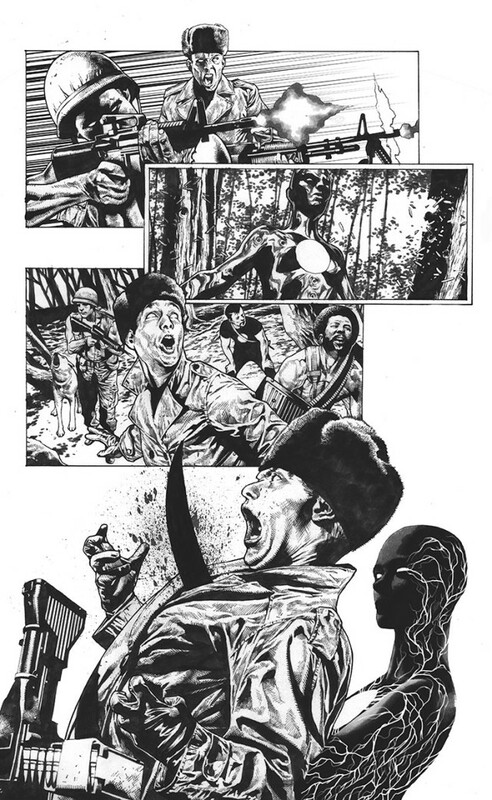 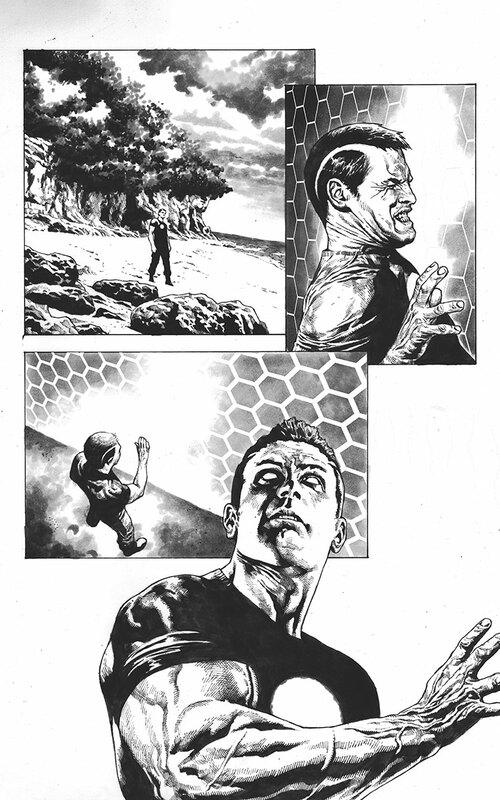 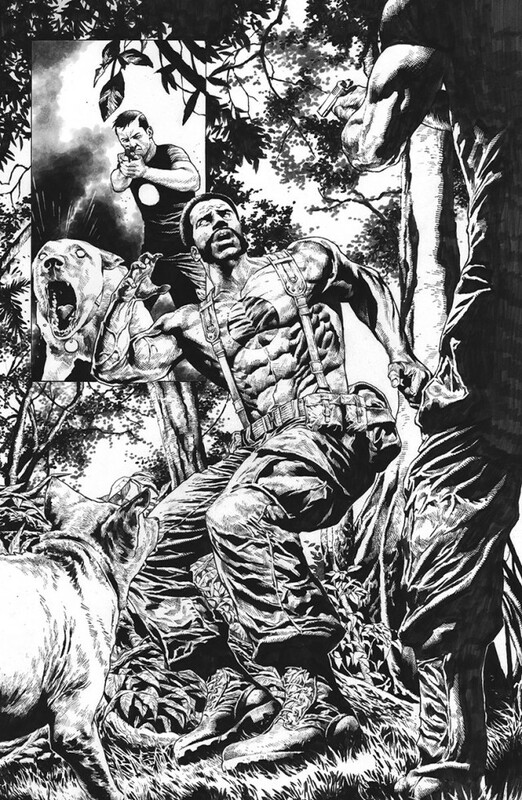 Picking up in the direct aftermath of BLOODSHOT REBORN’s current story arc, “THE ANALOG MAN,” “BLOODSHOT ISLAND” represents many months of work for Suayan, whose hyper-detailed interior artwork for the series’ best-selling debut became an instant sensation and spurred widespread critical acclaim. 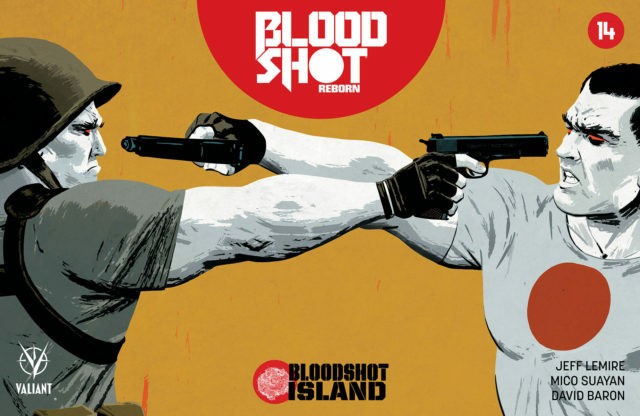 Superstar creators Jeff Lemire and Mico Suayan send Bloodshot screaming into the biggest, most suspenseful jumping-on point of 2016 when “BLOODSHOT ISLAND” takes on DEATHMATE in June! 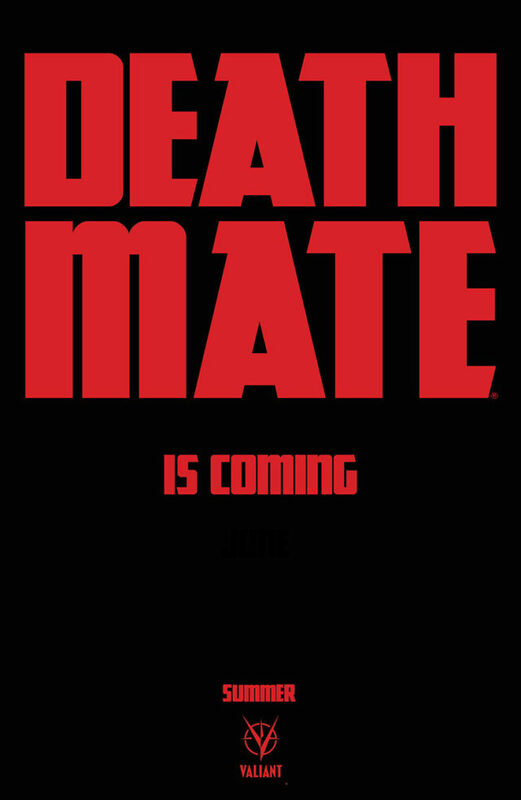 Featuring covers by a battalion of comics’ biggest talents – including Tomas Giorello (Superman/Batman), Ben Oliver (The Multiversity), Kano (Swamp Thing), Stephen Segovia (Ultimate Comics Avengers), Clayton Henry (HARBINGER), Ryan Bodenheim (The Dying & The Dead), Darick Robertson (The Boys), and Eisner Award winner Jeff Lemire (Essex County), the showdown of the summer begins this June, right here in BLOODSHOT REBORN #14! 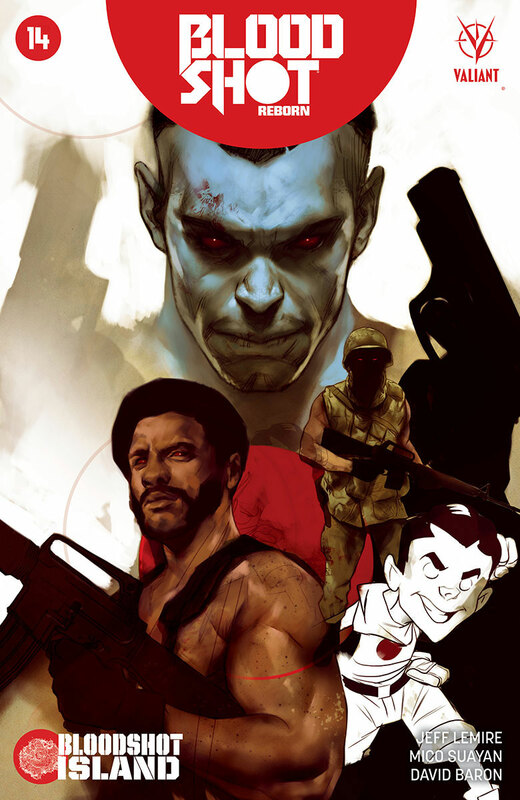 Plus: Find out more about what BLOODSHOT ISLAND holds for DEATHMATE on Saturday, March 19th at the VALIANT: 4001 A.D. AND BEYOND panel presentation – only at C2E2 2016!